There is no denying barcode labels have simplified life for anyone responsible for assets protection, inventory control, logistics, and procurement. However, when it comes to those responsible for procuring the supplies needed to create the actual barcodes, it’s a different story. If that person is you, the questions never seem to end. First off there’s the question of the labels, themselves. Which are better, synthetic or paper? Then there are the printer ribbons; wax, resin, or maybe a wax/resin hybrid? The options can make your head spin. That is where we come in. 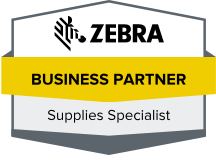 Tri-State Business Systems is more than simply a barcode supply company. We can perform a comprehensive analysis of your business’s specific needs and design a barcoding system with the components that best track and monitor your assets and products. We also test and service what we recommend so there’s no need to worry about any second-guessing or regrets down the road. Since training is always more effective than retraining, we offer barcode printing software training to give your employees a jumpstart on the learning curve. Contact Tri-State Business Systems for an analysis of your barcode needs whether you are in Edison, Newark, Trenton, New Jersey, or anywhere in the country. We’ve worked with Fortune 500 companies like Bristol Meyers Squibb and IBM and can help you too. We can install your solution in five days, and ship your future orders of barcode supplies in days. We also offer rapid response service contracts and 24/7 availability. Tri-State Business Systems is the barcode supply company to answer all your barcode needs.